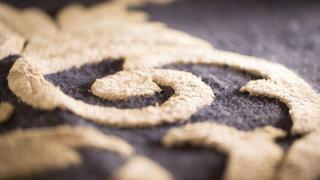 Chi Design is undoubtedly the haute couture of carpets. Based in Rome, Italy, the company produces breathtakingly beautiful handcrafted rugs and carpets, specially designed for the floors of yachts, private jets, commercial spaces and high-end residences. Working internationally with some of the world’s best-known brands, Chi Design’s one-of-a-kind carpets can be found on some of the most notable superyachts over 50 metres, and in luxury residences across the globe. Through its unique carpets and rugs, Chi Design creates a distinctive interior aesthetic, as well as the most luxurious comfort under foot. With 20 years’ experience behind him, the founder and CEO Davide de Santis, alongside his right-hand Marta Cortesani, strives for the utmost excellence, working with a wide variety of respected manufacturers who share his discerning standards. The company also partners with some of the most important international designers, enabling Chi Design to expand on its steadfast Italian style, providing further creative expression in its covetable carpets and enrichment of the space they cover. 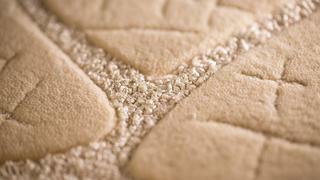 The manufacturer works with a range of different techniques and materials to produce its carpets and rugs, from the finest silk to wool and mohair, from hand-tufted to hand-knotted. Its qualified craftsmen consider the process of carding, spinning, dyeing and finishing an art form, and every care is taken to produce a product of the highest possible quality. “Craft earns respect. It takes time. No shortcuts,” says Cortesani. 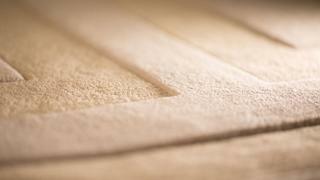 The common thread running through all Chi Design’s carpets is also an unrivalled durability. As a company, Chi Design puts the needs of the customer first, from conception through to the installation and after-sales care. Every project is considered a new challenge and any request can be catered for; Chi Design is committed to turning any design vision into a reality. The result is always a perfect blend of contemporary design, Italian elegance and the cultural heritage of the Far East. Chi Design’s aim is to give all of its silk-wool rugs a sense of movement, giving a living quality to the carpet. “Every thread tells a story, every colour evokes an event and every texture expresses a passion,” says Cortesani. Sometimes designs will involve up to 30 colours, with several different techniques implemented to achieve the final multi-hued result. 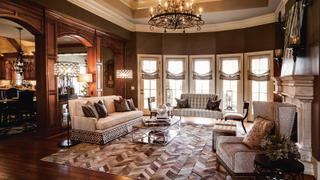 The respected carpet manufacturer does not only consider the beauty of its offering, but the practicality too. Well versed in complying with institutional and international requirements in carpet design, Chi Design combines luxury with functionality, providing a safe, warm and stylish flooring. As a company it also proves itself to be firmly forward-thinking, being deeply committed to using the most environmentally sustainable production practices. When working on the design of a carpet or rug, Chi Design will always consider its use, how much footfall the area will receive, whether it will be laid in areas of high humidity or could be susceptible to spills. It will then work with the designer and client to offer the best solution, at the time of production and long after delivery of the product. Chi Design is known for its after-care service, and has highly specialised teams for each area of concern. Chi Design’s goal is always to provide a refined and precious product, a reason why it has became the choice for an élite crowd that truly cares about quality underfoot.